Light acts as both a particle and a wave. It penetrates as well as reflects from the matter around us, defining the world we see. 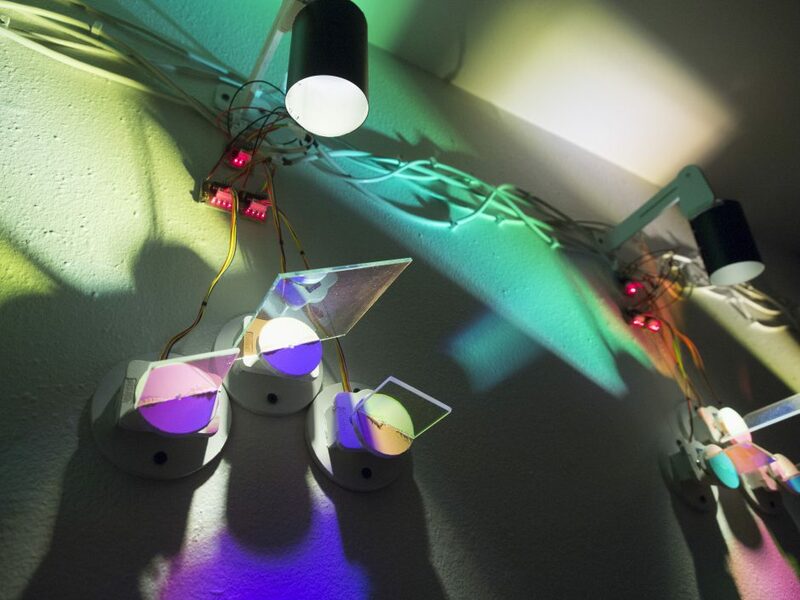 "Chromactive" utilizes the properties of light to create a changing, interactive experience. It employs the reflection, refraction and movement of colored light to transform the gallery space into a kaleidoscopic experience. The piece senses the presence of people around it and responds with changes in movements and colors; the viewer then becomes a participant in the actions of the piece.